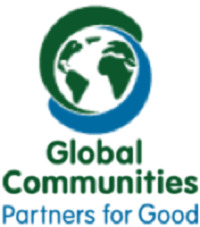 Global Communities is a global development organization committed to working in partnership with communities worldwide to bring about sustainable, impactful changes that improve the lives and livelihoods of the vulnerable. Its mission is to create long-lasting, positive and community-led change that improves the lives and livelihoods of vulnerable people across the globe. Global communities is seeking qualified candidates for the Trade Officer-Agribusiness position based in Dodoma for the USDA funded Agribusiness Investment for Market Stimulation (AIMS) program which seeks to bolster trade by increasing access to finance and expanding markets for small and medium agribusiness enterprises (SMEs). The Trade Officer will assist the Trade Specialist in identifying and profiling agribusiness SMEs, building and managing stakeholder relationships, stimulating value chain integration and building market linkages to increase volume and value of trade including mobilizing participants to participate in identified trade fairs, buyer- seller forums and other opportunities. The Trade Officer will also organize and coordinate business advisory services for agribusiness SMEs. She/he will provide expertise and support in trade facilitation, market development, and implementation of international and regional trade agreements, and other trade issues.  Map key enterprises, production zones of the targeted value chains, organizations, venues and commodities.  Develop and understand key value chain linkages and promote more efficient aggregation and distribution channels.  Stimulate value chain integration able to meet end-market demand and expand trade volume.  Organize AIMS business to business fora opportunities with partner organizations.  Organize and coordinate business advisory services for agribusiness SMEs.  Represent the program at designated trade fora.  Ensure trade related program database are up to date.  Develop and contribute to regular reports to monitor and share updates on progress.  Support the documentation of program learning throughout the life of the program.  Together with partner market information service (MIS) provider, promote the uptake of MIS for better trade management. EDUCATION AND QUALIFICATIONS Bachelor’s degree in Agriculture, Agricultural Economics, Agribusiness.  Advanced degree is an added advantage.  At least 2 years in agricultural trade facilitation and investment.  Familiar with value chains, gaps and deficiencies, and services/linkages needed.  Marketing and Trade work in previous assignments.  Experience providing Business Development Systems and market facilitation to SMEs.  Experience in SME capacity building and SME credit linkages.  Excellent understanding of Market Information Systems.  Computer skills and a working knowledge of statistical software.  Training experience on agribusiness marketing and finance.  Advanced interpersonal communication skills, relationship building and organization skills.  Sound grasp of business service provider network and linkages to agribusiness operators.  Demonstrated understanding of challenges and opportunities facing Agro-SMEs in Tanzania.  Demonstrate the ability to work constructively in a team and negotiate solutions.  Superior written and verbal communication skills and strong organizational skills.  Excellent command of English and Kiswahili languages including written and spoken.  Based in the Dodoma office with occasional travel within and outside the country as required to perform duties.  Able to work at a computer keyboard for extended periods of time. Apply via email to: tzinfor@globalcommunities.org Please Quote the position title on the email subject while sending your application, attach your CV and cover letter, to be received not later than 13th February 2018.